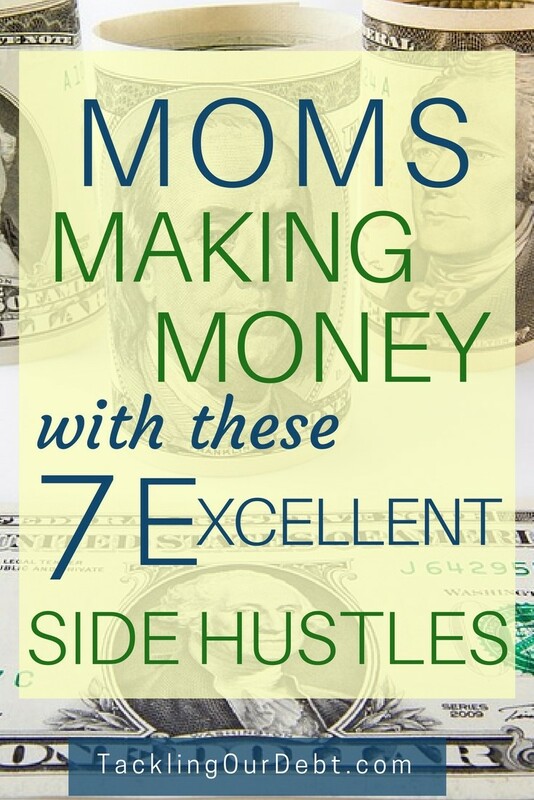 Moms are making money with these seven excellent side hustles for moms, and you can too. You can happily be at home, raising your children, managing your household, while making money. Using the valuable skills that you already have, you can easily work on any one of these side hustles. Whatever you choose to do to make money will depend on your personal schedule, home life, and support network. 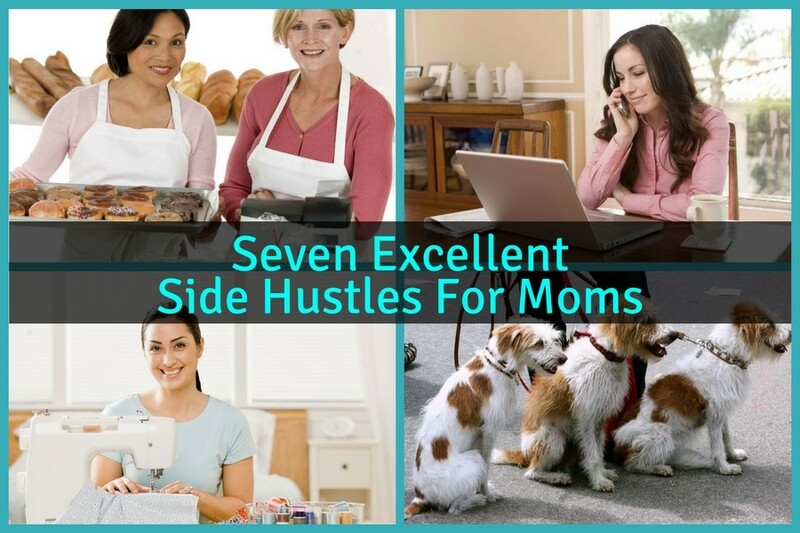 If you are a mom that wants to make money, but are struggling to find something that interests you, check out these seven side hustles for moms. Side hustles are the best way to make money these days because side hustles allow you to decide how much money you will make based on how much time you want to spend working on it. Also, there is no reason why you cannot work on several side hustles at the same time. If you have the gift of gab then think about a direct sales business. Products like cosmetics, chocolates, candles, lingerie, or Tupperware are popular items that will sell well when you get a group of ladies together with some great food, beverages and free samples of your product! If you’re crafty you definitely need to consider selling your items on sites like Etsy. Etsy is a site where you can sell your handmade items. You’ll find just about everything you need there to setup an eCommerce store of your own. From jewelry to homemade chocolate it’s the place to showcase your craftiness. I know it sounds old school but I can’t tell you how many times I’ve scrambled around looking for a good seamstress to hem up a pair of pants or fix a skirt. Once you get going you can expand your services to include draperies, cushions, duvets and placemats. Or you could consider sewing bridal gowns and bridesmaid dresses. A very interesting side hustle for moms is to consider becoming a Notary. Everyone needs a notary and becoming one is about a three-step process depending on where you live. Most states will require you to purchase the necessary bond and seal, fill out an application and pay a fee. Once you are finished, you can advertise this as a service for people in your local area. You will be amazed at how many people need a notary for a variety of documents. If you think people who prepare income tax returns make money only part of the year that is a huge misconception. There are businesses that require monthly or quarterly services. I know that term is more used for teens but if you can help other moms out by taking care of their kids it’s a win-win situation for everyone. I mean, you already have childcare experience, right? Keep in mind though there are other responsibilities that come with babysitting, so make sure you think things through carefully and thoroughly. And don’t take on more kids than you can care for or that’s required by your state’s law. Yes you read it right. You can make money, working from home, by listening to cases and giving feedback online. Check out ejury, and sign up as a juror.